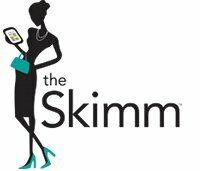 theSkimms Content Team creates everything from the Daily Skimm that you read in the morning, our podcasts Skimm This & Skimmed From the Couch you that you listen to in the evenings, the calendar events you subscribe to in theSkimm Apps for iOS & Android, the Sip n Skimm & videos you watch on Facebook, & the stories you follow on Instagram. This summer, were looking for someone who can help the team materialize theSkimms message, supporting various content teams through a myriad of tasks that may include, but are not limited to: research, content archival management, brainstorming & producing content for our social media teams, or creative projects that are on our roadmap. Come help us Grow This B.